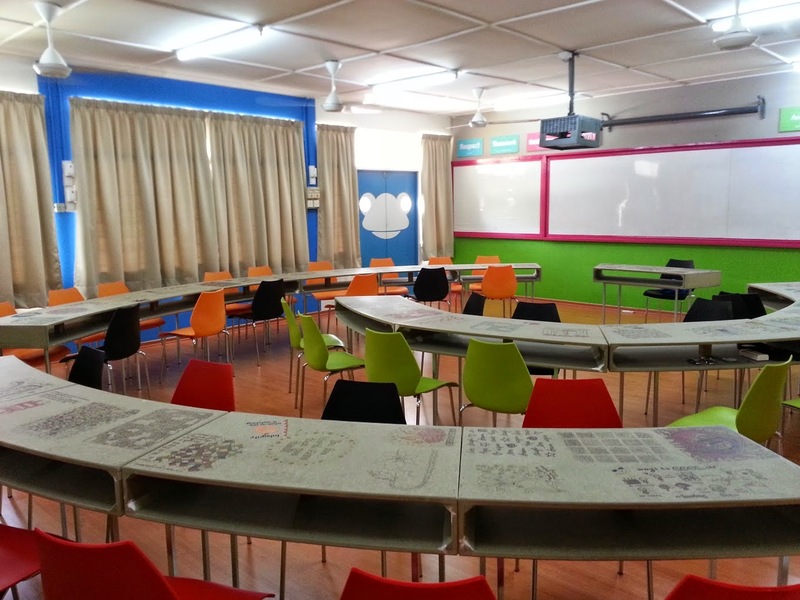 SMK Puchong, a government school located at the heart of Puchong recently received a classroom makeover! A team from the YTL Foundation and Syarikat Pembenaan YTL (SPYTL) laboured through weekdays, weekends and holidays to change a tired-looking classroom into a modern, state-of-the-art facility! Everyone present at the launch was amazed at how beautiful and wonderful everything looked! 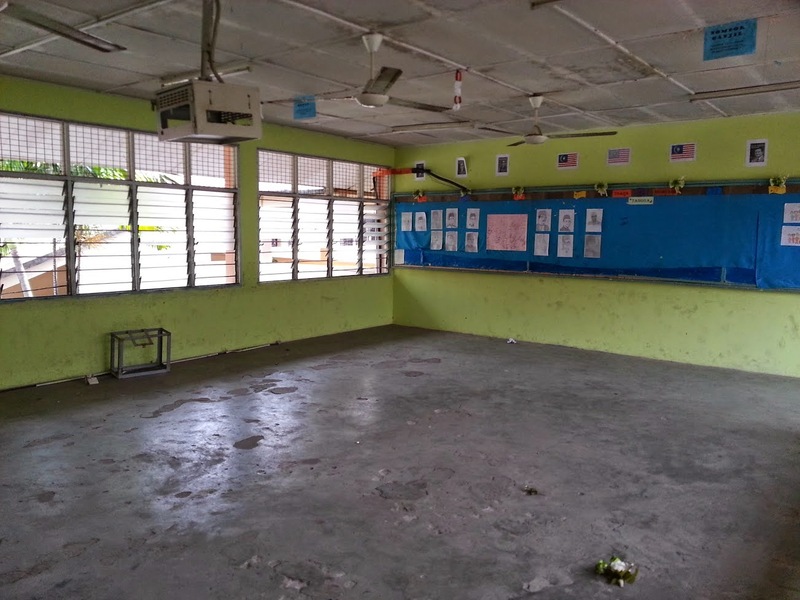 The tour group included YTL Foundation’s Datin Kathleen Chew, FrogAsia’s Lou Yeoh, some representatives from the media and the volunteers that were involved in the classroom makeover. The new classroom was refreshed with hand-made tables, colourful walls decorated with bag hooks and a polished wooden floor. Every child enjoyed the space offered by the hand-crafted wide tables that curved to fit in with other tables! The architects explained that the reason behind the curved tables was so the tables could be arranged into a spiral. This promoted collaborative learning, as the students could sit facing each other. Each table was filled with inspiring artwork and words of encouragement, courtesy of volunteers from SPYTL and FrogAsia. Don't know an answer to a question? Google it! To make things better, the class had four air conditioning units installed. When the group toured the class, they were spared the discomforts of Malaysia’s hot and humid weather. Students will also enjoy the same cool comforts and focus better on their lessons. An oddity at the back of the classroom was a red punching bag. Apparently it was set up so that the students could release their pent up energy by doing quick exercises. But what was most incredible about the school was the amount of technology featured in the school classroom - every child had a Google ChromeBook! The school was also outfitted with a mobile Chromelab that provided a charging station for all 42 Chromebooks, including fast 4G Connectivity. During an eloquent class presentation by one of the school’s students, other students were attentively listening while browsing through the same slides that the presenter was using. The teacher said that this class was inquisitive and would often be seen checking up the dictionary for the words they didn’t know or searching Googling websites for further information on a subject matter. The tour group was extremely impressed when they found out that the students had just put together their ten-minute presentation on Google Docs! As the group left, the students began joking among themselves, studying and using the their new classroom! We wish the students in SMK Puchong all the best!